Welcome to the home of ultra distance running in Sweden. What is KUL and Ultradistans.se? Kommittén för Ultradistanslöpning (KUL) – “The committee for ultradistance running” is operating under the patronage of the SFIF (the Swedish Athletics Association) and is dedicated to develop ultra distance running nationally within the SFIF rules and regulations. KUL is committed to make sure that Sweden sends the best national team possible to each international championship. Committee members are elected by SFIF. Ultradistans.se is a nonprofit association created to promote, govern and administer the sport of ultra distance running throughout Sweden. Members of KUL are connected to Ultradistans.se and the committee and the association work closely together. 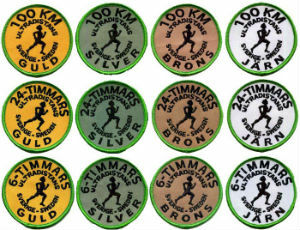 Ultradistans.se upholds this web site, the Swedish ultra distance statistics and offers training camps and lectures to the ultra running community. The association also keeps a fund allocated for anti-doping tests performed on athletes setting Swedish ultradistance records. The work of KUL is towards national and international championships and the Swedish national teams. The work of Ultradistans.se is to make sure ultra running is available to all that loves the sport. For obvious reasons the “official language” of this site is and will always remain Swedish. Please learn Swedish, find a Swedish speaking friend that can translate for you or use good old Google Translate to read the rest of this site’s pages.